As a store owner, you probably don’t want to miss a single chance to boost sales. However, you must wonder how you can attract customers, and make them buy something in your e-store. PROMOTION is one of the critical answers to this question! If you offer buyers a bargain, they will spend their money without any hesitation, for sure. 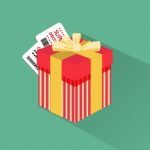 Believe it or not, the coupon is one of the most appealing methods for sales preparation that help turn potential customers into actual buyers, but some problems are arising when using it. For example, it is time-consuming to create and generate coupon codes manually. Admins have to make tremendous efforts, but the result still lacks precision. Besides, codes look complicated, so sometimes customers feel annoying and unwilling to enter long discount codes at checkout. That’s why an easy-to-generate and auto-apply coupon provider is desirably in need. Fortunately, Mageplaza has released Better Coupon extension for Magento 2 as a practical solution for these frustrating issues! It is not only able to automatically create unique codes for coupons but also generates them systematically at the backend. Even codes from not-Magento systems can also be imported and processed efficiently, which will help cut down tons of workload for admins. More impressively, with links attached to coupon, it is convenient for consumers to visit the store by just a click so that their experiences rise to some extent. As a result, stores can rocket their profits and satisfy their buyers at the same time. Store admins can generate a coupon code based on a range of rules and patterns configured at the backend. A random code is made and sent directly to a customer with a simple click. Moreover, admins can easily choose different templates for the coupon email. A link is attached right with the coupon so that your customers could visit your online store more efficiently. Customers can be led to the e-store address automatically via this link, and thus, it is more convenient for them to buy things with the coupon codes they are offered. This auto-apply coupon is helpful for both store owners and customers. This feature enables store admins to use coupon codes created by not-Magento systems. Store generators don’t have to add codes manually anymore, which is a time-consuming and possibly imprecise task. All they have to do is importing codes in CSV file to the storage at the backend with some simple clicks. Multiple admins can employ a link to generate coupon codes which can be auto-applied by customers. Admins can generate coupon codes with API. The coupon emails sent to customers can be designed with several templates. Used Coupon codes will be tracked, stored, and exported at the backend. Online store merchants who experienced this extension all have the same impression: Immense satisfaction. Below are some of the compliments and recommendations that users have made. Let’s see it through! The extension can be enabled or disabled in General Configuration. Only after choosing “Yes” in Enable field can admins allow the module to function. At the backend, admins can generate coupon codes and send them to target emails with ease. Store admins are free to select different rules, quantity, and code patterns. Moreover, after activating the function of sending codes via emails, online store merchants can choose email address(es) and message template as they wish. Only by clicking on the Generate button, a coupon will be generated and sent immediately. This allows admins to generate coupon links with different rules, patterns and random access keys. Admins can copy and load the link to check whether the codes are created successfully or not, or they can delete the link if they want to. However, a quick coupon link is for internal use only because if customers have this link, they can always have new coupon codes to use by refreshing the link over again. At the backend, admins can customize links for customers to apply automatically. The coupon code you add in the Coupon field, which were created earlier in Generator or from Marketing > Promotions > Cart Price Rules, can be generated to help customers access the link from the coupon without having to re-enter the code. After selecting the CSV file in which codes are stored, admins can import the coupon codes to the system. Those codes will be saved at Manage Coupon Code. This will help the store administrator cut down workloads since they can add codes generated by other systems instead of typing code by code. Of course, if you don’t have CSV files, you can enter codes manually at the backend. Although this is time-consuming, Mageplaza still wants to diversify the ways you can import coupon codes. Every time the link is refreshed, a new coupon code will be generated. Admins are enabled to choose which rules and ID (Access key) to use when creating codes. Customers receive codes at the frontend. They are offered a coupon via emails and able to use it when shopping at the e-store. Here is how the coupon will be displayed. The email has a user-friendly design that presents the code and some basic information about the store which provides it. Notably, customers can apply that code immediately by clicking on the Apply Now button to visit the e-store and place an order right then. 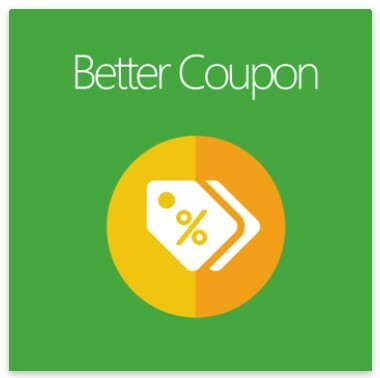 Better Coupon is an indispensable module for any e-commerce business if store owners aim is to attract customers and boost sales as much as possible. Applying this plugin means that you are a savvy retailer who deeply understands customers’ tendency of purchasing more when being offered a promotion. In fact, coupons can be used in every situation including special occasions like birthdays, holidays, sales seasons; or daily cases like when customers buy a large number of products. 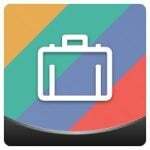 Therefore, if you want Mageplaza Better Coupon Extension to help you obtain valuable sales opportunities throughout the year, don’t hesitate to own this incredible module right now!